Suite 314 is a totally renovated and tastefully decorated third floor suite with breathtaking views of Lake Charlevoix. This condo has a fully equipped kitchen that includes a full size oven, under-cabinet refrigerator, and beverage refrigerator. This unit has a brand new built-in seating area around the dining table. The living room features a queen size sofa sleeper, gas log fireplace, and a 55" flat screen TV. The sliding glass door opens to a balcony that overlooks our private beach. Upstairs you will find a bedroom with a king size bed, a flat screen TV, and a bathroom with a Euro shower and two separate vanities. The upstairs also offers yet another spectacular view of Lake Charlevoix. The room was great! We have family in the area and like to stay at WSI so we don't overrun the house. WSI is a great location and a very relaxing place to stay! This was a fantastic location and a wonderful rental property!! The unit was exactly what we expected and then some! They thought of everything you could possibly want or need during your stay. The unit is done in super high quality furnishings, and everything was just fabulous!! Highly recommend, and we will definitely stay here again!! Great place to stay with children. Close to everything. A great stay in Boyne City at the Water Street Inn. We love coming to Boyne City. It is an absolutely beautiful spot to visit. We have stayed at the Water Street Inn the last two years and really enjoyed the experience. The property is clean and well maintained. The staff is very efficient and helpful. The unit we stayed in was just as described. We really enjoyed the comfort and decor of of the unit. We hope to come back next year to stay at the Inn. We absolutely love Water Street Inn. The room 314 was beautiful and clean and had an amazing view. I would highly recommend this room to anyone! It was a quick trip to look at a boat that was for sale. The condo, restaurants were 5 stars. If we are ever in the area you will be the first one we contact for our stay. THANK YOU! Thank you for the review! We are happy to hear that you enjoyed the unit! We hope to see you again soon. Adelia Cooper. Water Street Inn for daughters wedding weekend! We booked all available condos for my daughters wedding weekend in Boyne City and couldn't have been happier. The management, Nicole, and staff, Theresa went out of their way to ensure the guests needs were meet and exceeded their expectations. I received nothing but positive feedback and family and friends that will surely be back in the very near future. Thanks to all at WSI for the beautiful memories of her wedding weekend! We are delighted to hear that you enjoyed your stay at Water Street Inn! We look forward to seeing you again soon! Thank you for the review. Adelia Cooper. We were very please with our stay at 314 Water Street Inn. All units have sweeping views overlooking Lake Charlevoix, which is just feet away. The unit was extremely clean, well equipped, bed comfortable, etc. We did manage to log ourselves out of the digital entry pad after hours, which was a temporary inconvenience. We appreciated the availability of guest laundry facilities. We would stay here again. Nicole a the front desk is very helpful, personable, and goes out of her way to make sure guests have everything they need. This location is perfect for a relaxing few nights away. The condo is beautifully decorated and I was very impressed by how clean and well-maintained it was. Having a kitchen in the unit was very convenient. We have stayed here before and definitely will again. The unit was far better than expected. The pictures do not do it justice. Very modern with everything required for our stay. Location could not be better, walking distance to the restaurants and a short drive to the ski hill. The management were also extremely accommodating when we requested to move our reservation up a day to avoid the extremely cold weather. No need for us to look for options for our next visit. We will be back!! Wish we could have spent more time in the condo! Great spot, condo was super clean and comfortable. Would absolutely recommend, looking forward to another stay here. Love this unit, very updated with lots of extras. I highly recommend staying at the Water Street Inn. I have been coming here for years, the staff is very friendly and the rooms are beautiful. Had a great time on our color tour, despite the persistent rain. Cozy place to warm up and dry off! So many great restaurants and pubs within walking distance. Loved it! Water Street Inn is a very nice property. The location is great for exploring the other towns around Lake Charlevoix & also an easy drive over to Traverse City. Our unit had been recently redecorated & it was lovely. Since I had requested a unit on the third floor the bedroom & bathroom were upstairs. Makes the downstairs feel larger & more open. The weather was beautiful so we enjoyed lovely sunsets from our balcony. The housekeeping people we encountered were friendly & accommodating, especially give the fact that we are not early risers. Greatest hotel that I've ever stayed at. Wonderful price, clean, modern, private, fantastic view, and comfortable. Basically, everything that you would want in a hotel. Booking another trip for six months from now. Great place to stay, clean and beautiful views of the lake. Very relaxing trip to Lake Charlevoix post Labor Day. The condo was clean, quiet, and very pleasant. Location is great to explore areas from Traverse City to Mackinaw. Looking forward to next year's trip! Two days of girl time...eating, drinking... livin on the lake ! From the moment we checked in everything was great ! Front staff was wonderful & very accommodating. Location was fabulous...our unit was clean & comfortable & we loved the view. Boyne City is hidden gem. Plan on returning same time next year. We love staying at the Water Street Inn. 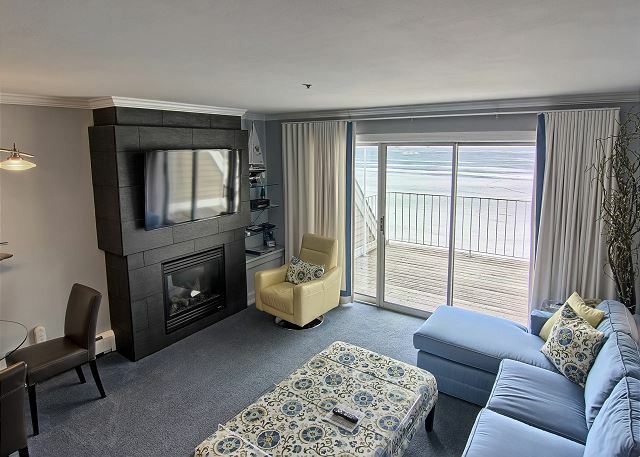 Unit 314 is particularly nice: totally upgraded, on the 3rd floor with a lovely view of Lake Charlevoix from the balcony. Of course, all of the units have the same lovely view and include a bedroom, bathroom, kitchen and living area and balcony or patio. Watching the sunset from the beach in back of the WSI is a nightly ritual. We had a wonderful time at the condo we rented in Boyne City. It was clean, it had everything we needed and the view was incredible! Great time in Boyne City and surrounding areas! We always enjoy our stay here. Great location and a wonderful place to sit back and relax. I will visit again soon! Beautiful rooms, lake and downtown. Boyne City has great dining, shopping and nature that was completely walkable from my room. Lake Charlevoix is crystal clear with miles of coastline to enjoy. Can't wait to return with the whole family! This is our 3rd stay here....every time has been fantastic. Centrally located to all the great locations northwest Michigan has to offer -- Boyne City itself, Charlevoix, Petoskey, TC, Suttons Bay....with the advantage of coming "home" to the quiet and calm of Boyne City. We love it! 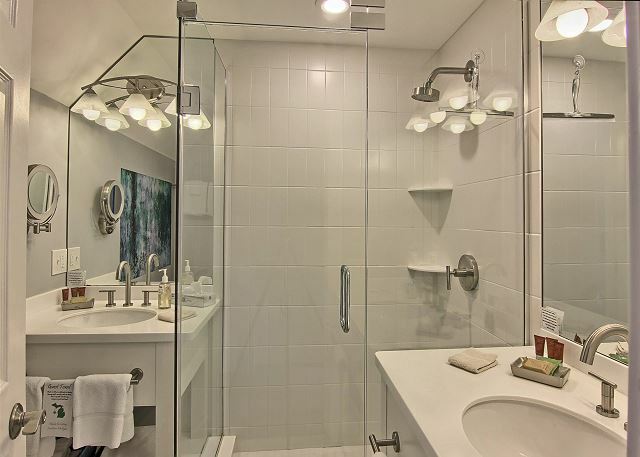 Condo was very clean, beautiful view, excellent location. I would have liked to find a corkscrew to open the bottle of wine we purchased downtown. We had a great time in Boyne City. Room was very nice. As a side note, the bedroom and bathroom are located upstairs. Checkout time is 10:00 AM which is a tad bit early. Overall, very nice though. Very updated and modern unit and very clean. We had an issue with a low battery smoke detector going off but the staff was able to provide a battery so we could fix it. One recommendation might be partnering with Café Sante for a pseudo-room service delivery - that would be a huge added benefit to the property. Property was newly remodeled and GORGEOUS. Very modern/super clean. Staff was friendly and helpful. Property is a 2 minute walk to all the restaurants and shops in Boyne City, and a 5 minute drive to Boyne Mountain. Tremendous value- stay here!